The CGEP Advisory Board is composed of appointed representatives of educational institutions as identified in California Senate Bill 612. Advisory Board members set guidelines for project sites, review and recommend site proposals for funding, and monitor project activities to ensure that they adequately reflect the priorities of CGEP and the California Subject Matter Projects, and that CGEP complies with legislated requirements. As a graduate student in East Asian Studies I joined fellow students in an effort to volunteer in local Bay Area K-12 schools to improve knowledge of China, Japan, and the East Asian region. We wanted the second half of the 20th century to see less hostility and misunderstanding between the US and East Asia. Over the years as I have taught at UCSD I have watched what we once thought of as “international studies” come home. The naturalness with which we now access information, interact with people who have roots in other nations, and anticipate social, economic, and political ties to distant others requires reflection on culture, meaning, and human nature. I work with CISP because it is California’s flagship effort to take us toward a future where our now unprecedented access to the international might be enriched by deeper understanding across differences in histories, identities, and fundamental senses of meaning that enrich local lived cultures. Christena is an Anthropologist and Associate Professor of Sociology at UC San Diego. She has an M.A. in East Asian Studies from Stanford University with special interest in Chinese religion and cultural values and a Ph.D. in Anthropology from Stanford University with a focus on contemporary Japanese culture and social activism. She has been Director of the UCSD Program in Japanese Studies for several years, has served on university committees for International Education, and is an advocate for international studies at all levels of education. Her teaching focuses on Japanese society and culture, ethnographic and field methods in social science, and transnational cultural production of visual and narrative arts. Her research includes work on inequality and culture in Japanese labor protest, construction of meaning in Japanese workplaces, cultural influences on healthcare practices in the U.S. and Japan. She is currently working on narratives of inequality, empathy and social justice in Japanese popular culture. Going to Japan for two months in high school, at the recommendation of my Social Studies teacher, had a profound influence on my personal and intellectual development in the field of Asian Studies. I want to be a part of fostering these kinds of opportunities for the next generation through my involvement with CGEP. As an undergraduate at Georgetown University, Kristine majored in Japanese language and minored in Asian Studies. This interdisciplinary training has influenced her work as a historian of postwar Japan, especially her research on the ethnic Korean minority. Kristine's M.A. from Sophia University in Tokyo focused on disputes over Japanese history textbooks and spurred an ongoing interest in historical debates about modern imperialism around the world. As a Ph.D. candidate at UCLA she forged strong networks with academics in Asia and elsewhere who are committed to using history as a tool for social justice, particularly related to issues of ethnic minorities whose voices are often silenced or marginalized. At CSUF, Kristine regularly teaches classes in world history and historical methodology where she tries to foster an appreciation for various historical perspectives and provide students with tools to develop their own interpretations of world events and problems. Mandy Bush is the social studies department chair at Norte Vista High School in the Alvord Unified School District. She is a teacher leader for Fullerton International Resources for Students and Teachers (FIRST) at Cal State Fullerton and recently completed a Global Studies Outreach Fellowship at Harvard. Mandy has been working as a teacher for 16 years and was selected as the 2015-16 Teacher of the Year for the Alvord Unified School District in Riverside. She developed a Global Leadership course for her school and shares lessons, projects, and practices with educators throughout the state. I was teaching history and English at Valley High School in Santa Ana in 1990 when I met Connie DeCapite and learned of the outstanding work going on at the California International Studies Project. Connie helped us establish the Global Business Academy and I had the opportunity to participate in CISP (now CGEP) professional development opportunities, eventually serving as a presenter for the FIRST Center at CSU, Fullerton. California teachers and students need the kind of international understanding and global engagement that CISP offers if they are to thrive in the 21st century and help make the world a better place. Glad to be involved! Jeff serves as Chief Academic Officer for the Orange County Department of Education (OCDE). He earned a PhD in educational policy, planning, and administration from the University of Southern California, with a focus on international education. He has served in multiple positions in both K-12 and higher education during 30+ years as a professional educator. Jeff served as a teacher and co-founder of the Global Business Academy in the Santa Ana Unified School District and as a curriculum administrator at the Monterey County Office of Education. He also served as a professor of education, Dean of the School of Education, and Provost at Vanguard University in Costa Mesa, California. Jeff grew up in Port-au-Prince, Haiti. He studied at Mohamed the Fifth University in Rabat, Morocco, as a Rotary Ambassadorial Scholar. He has worked on international education projects and done research or consulting in Cameroon, Mali, Togo, South Africa, Israel, and Haiti, and was involved in an education exchange program in China. In his current role, Jeff oversees multiple county-wide initiatives, including OCDE’s California Career Pathways Trust Grant (OC Pathways), and serves on the state advisory council for the California Partnership Academies. The need for Global Education has never been more important than it is today. The responsibility for educating our young people for their role in our interconnected world is in the hands of our K-12 teachers. CGEP is an organization that has been preparing teachers for over 30 years to be global educators. I feel honored to be able to support CGEP as a board member as they take an ever more important role in supporting teachers and their students for the challenges of the 21st century. Miriam has been an educator for over 40 years. She began as an elementary teacher in Detroit, Michigan and has taught elementary students in Petaluma and Berkeley, California. For the past 23 years, Miriam has been an English as a Second Language teacher at Sonoma State University and Director of the North Bay International Studies Project. Her commitment to supporting global educators included receiving four Fulbright grants to take 12 teachers in each program to Brazil and the Philippines. She wrote and oversaw the professional development for six successful Teaching American History grants for Napa Unified School District, Mendocino County Office of Education, Petaluma City Schools, and West Contra Costa Unified School District. Since 1994, Miriam has worked with hundreds of California teachers in professional development in History/Social Science and Global Education. Global education is the key to building human bridges, fostering international cooperation, promoting peace and sustainability. Guiding our students in making connections, identifying problems and solving them, and increasing their geographic and civic literacy will prepare them for engagement in an increasingly complex world. CISP is perfectly positioned to facilitate real world learning opportunities for teachers and students. I look forward to contributing to the expansion of global education in our state's classrooms and beyond. Lawrence began his career as a bilingual/global/geographic educator at Bakersfield Elementary School where he brought his travel experiences and geographic perspective into the classroom. Prior to teaching, he led tours to the Soviet Union, China, Scandinavia, Spain, Portugal, Morocco, and Canada. As an undergraduate at CSU Long Beach, he developed traineeships for international students and later worked with university committees and businesses in Brazil and Mexico through AIESEC, an international exchange program. He quickly determined that K-12 American students should be developing global competencies. 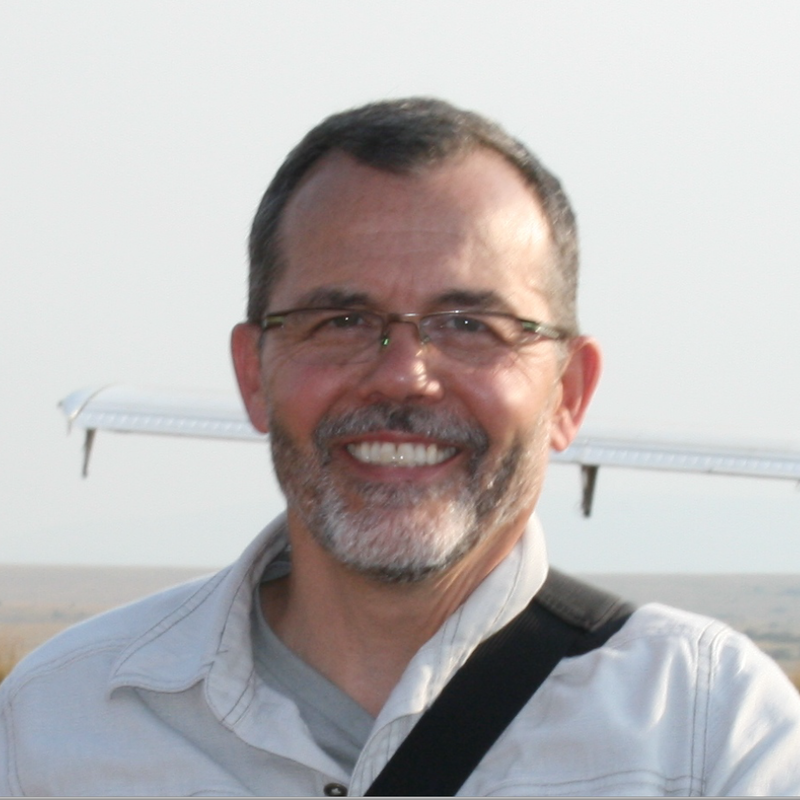 Lawrence has been actively involved with the California Geographic Alliance since 1992. For 25 years he taught middle and high school social studies in the San Marcos USD. He developed a required 9th grade World Regional Geography class and also taught an AP Human Geography course after participating in the AP/College Board Human Geography Leadership Institute. He also moderated the Nat Geo Bee and promoted National Geography Awareness Weeks for decades. Participation in Fulbright Hays Seminars Abroad Programs to South Africa and India deepened his knowledge of their societies and educational systems. His selection to participate in the IREX/US Department of State Teaching Excellence and Achievement and International Leaders in Education Programs resulted in collaboration with teachers from around the world and an assignment to Bulgaria to work with teachers and students at the Romain Rolland Foreign Language School in Stara Zagora. Most recently he developed a Model United Nations program at San Marcos Middle School and prepared student delegates for participation in high school and international MUN conferences. I have always believed that my role as an educator is to help students learn the skills they need to become agents for change in the world. Teaching for global competence empowers students to take action based on thoughtful investigation and reflection. California Global Education Project provides teachers with the knowledge and support they need to develop as global educators. As CGEP continues to evolve to meet new educational challenges facing teachers and students, it’s a true honor to serve on the advisory board. Rod Septka is an educator with 28 years of experience teaching grades three through eight. He has a passion for both literacy and global education and has developed programs in his district to support both. Currently, Rod is the Global Studies Coordinator/Coach for Mill Valley School District where he helped develop the district’s global studies initiative, supports teachers, and leads workshops in developing global competence. He has been a teacher consultant for the Bay Area Writing Project since 1990 and developed and taught a writing program in Seoul, South Korea. He earned the Global Competency Certificate from World Savvy and Columbia University, which included a service-learning project in Ecuador. Rod has an MFA in creative writing from Mills College and was Marin County Teacher of the year in 2004. As an educator, researcher and global citizen I am dedicated to the highest standards of academic excellence for all students. It is important to the economic stability of our region and country that we develop robust pathways toward global understanding and competency. I am dedicated to preparing students towards becoming outstanding leaders in a highly diverse and globalized workforce. I am a proud parent of two daughters who thrive in dual immersion Mandarin schools. As someone who has lived and worked on multiple parts of the world, I have a clear understanding of the rigor and global competence of youth in other countries. I am particularly interested in serving on this advisory board because I firmly believe that access to global curriculum and experiences should not be limited to a few privileged individuals. The foundation of global understanding is linked to sustainability, the environment, peace building, homeland security, innovation, as well as intercultural communications and expression. 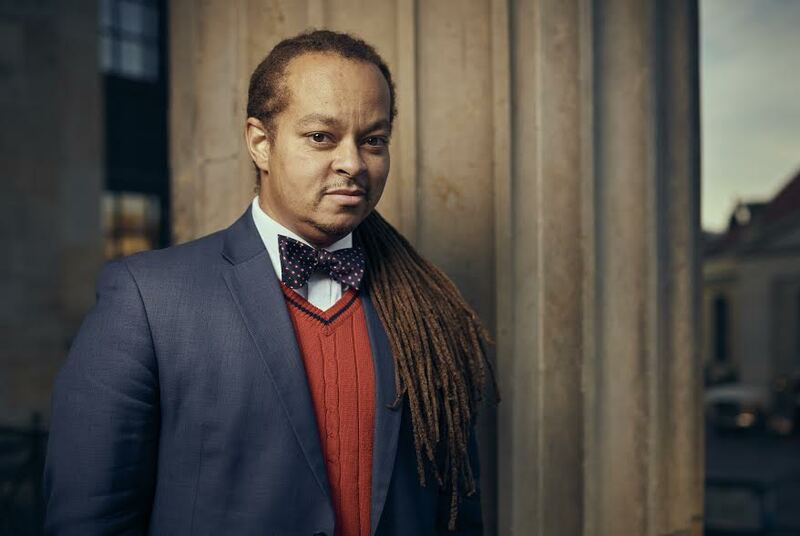 Dr. Aaron Bruce, serves as the Chief Diversity Officer and Vice President at ArtCenter College of Design where he focuses on campus-wide multicultural understanding, social justice, and strategies related to diversity, equity and inclusion. Dr. Bruce helps strengthen the college’s connection to diverse local and global communities and organizations. His leadership in inclusive experiential design, advertising and marketing provides him with the creative energy to promote diversity, equity and inclusion across campus. Prior to joining ArtCenter, Dr. Bruce served as the CDO at San Diego State University for over a decade. He helped the university earn the ranking as one of the nation’s top 5 campuses for study abroad. His strategic leadership efforts helped SDSU to significantly close the achievement gap for historically underrepresented students. Anna’s passion for global education reflects her own educational and personal journey. She has a deep appreciation of the transformative power of exposure to the variety of experiences and viewpoints that occur in truly diverse educational settings. Anna Bruzzese is a triple graduate (B.A., M.A. and Ph.D.) from State University of New York at Stony Brook. Anna grew up in Poland but spent one year at Morris Knolls High School in New Jersey. She finished her first year of university at Nicolaus Copernicus University in Toruń, Poland, prior to transferring to Stony Brook University on Long Island. Since 2006, she has been at Los Angeles Pierce College where she is a professor of sociology. In addition to teaching, Anna has served in a variety of leadership roles, including as a chairperson of the Department of Philosophy and Sociology, a delegate to the Los Angeles College Faculty Guild Executive Board, and the Academic Senate secretary. Currently finishing her second term as the Los Angeles Pierce College Academic Senate president, she is also a South representative on the Executive Committee of the Academic Senate for California Community Colleges.